The other day I was in our kitchen pantry where we also keep some of our tools and I happened to notice our two hand saws hanging on the wall and I thought to myself…. 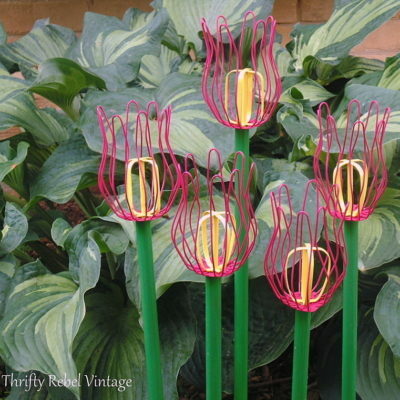 hmmmm… they kinda look like a Christmas tree. At least they did to me. 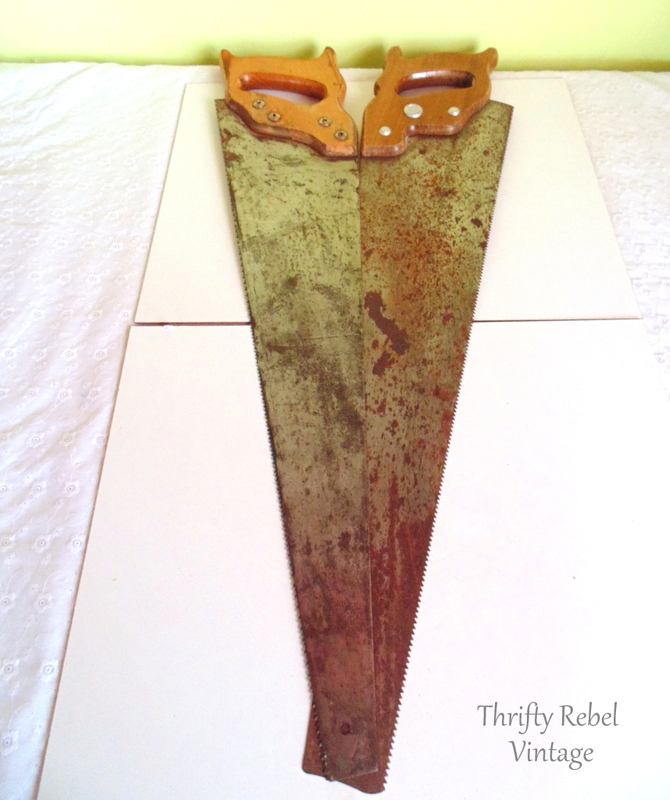 Now those two were saws that we actually use so I went out into my greenhouse stash to find the old rusty and crusty saw that I thrifted this past summer, and what do you know… I actually found it. lol. But I still needed another one with a similar size and shaped handle, so off to the ReStore I went and thankfully I found one there for just $3. I just love the ReStore! The one I found wasn’t quite as aged, but that’s OK. They don’t have to match. I taped the two saws together, teeth sides out, in the shape of a tree using metal duct tape. This tape is my new favourite thing. Should you decide to make a saw tree of your own please be sure to wear gloves because these suckers will bite you. Don’t ask me how I know this. lol. 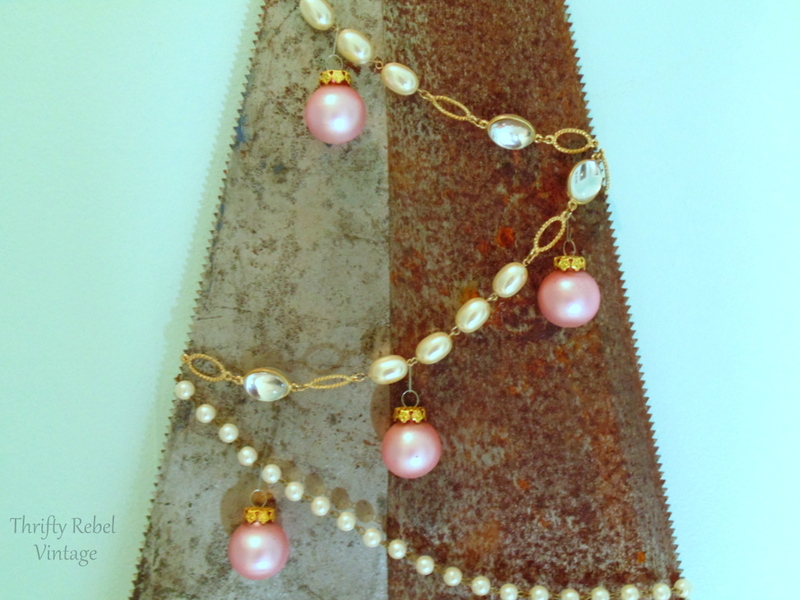 I went into my costume jewelry stash and and found some faux pearl necklaces to drape across the saws. The teeth really do grab them nicely. but I quickly changed my mind to pink. Then I added some small pink glass ornaments that I had leftover from my folding ruler tree. Not too many… but just enough to make it pretty. 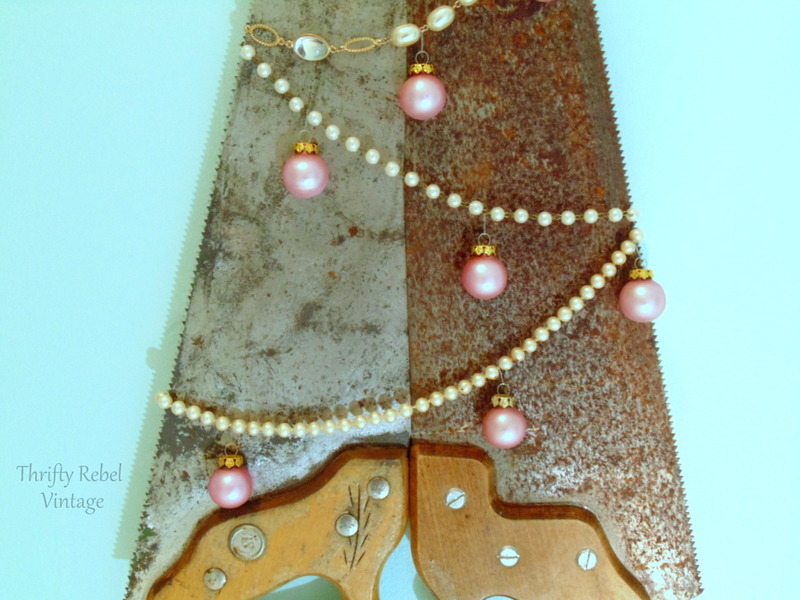 I love pink, pearls, and rusty crusty metal together. 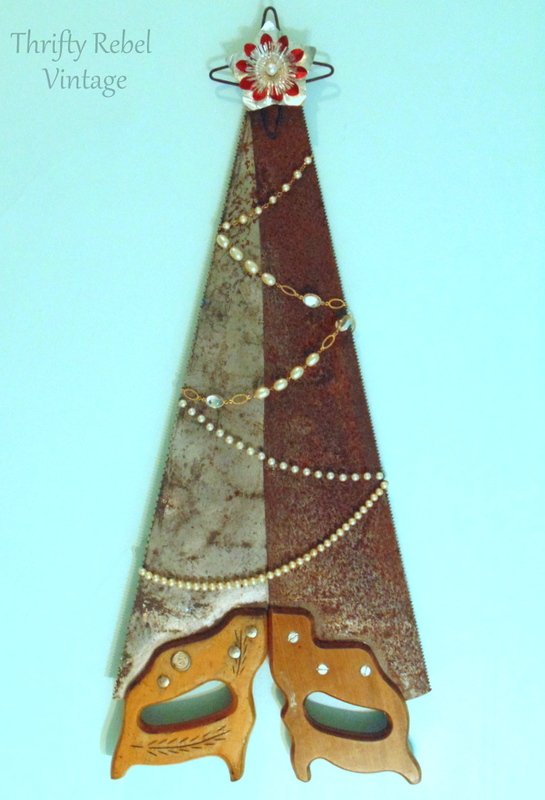 To hang my repurposed saw tree I tied jute through the holes at the tops of both saws and tied a loop, and the star is taped on using the metal duct tape. After I was done I realized that I probably should have used the other sides of the saws because their patinas match much better. Oh well, I guess I’ll have go go back to the sawing board. Sorry… I couldn’t resist that one. lol. But seriously, I’m going to enjoy it just the way it is. It doesn’t have to be perfect. For some reason it makes me smile. Thanks so much Dona. Merry Christmas to you! Thank you so much! Merry Christmas to you too Mother Deer. Thanks so much Cinny! Merry Christmas! How cool is that!!! 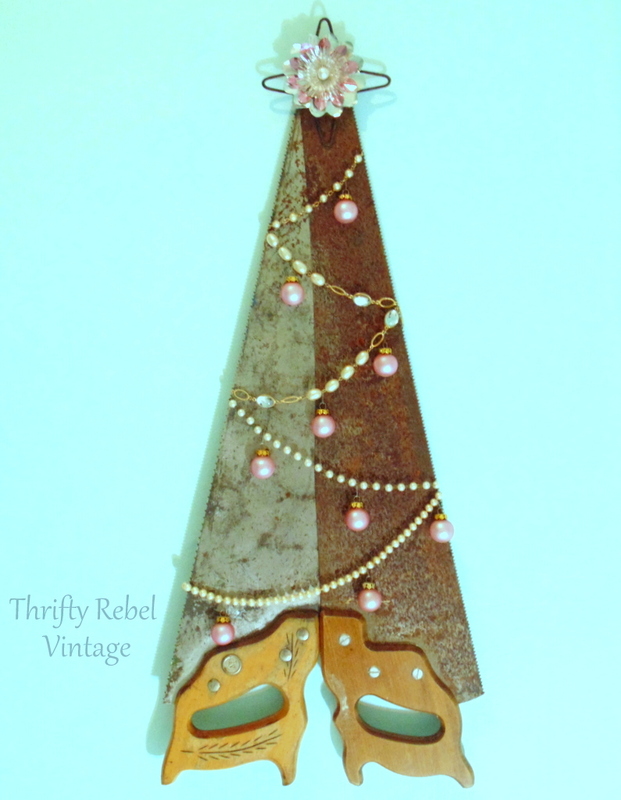 Great way to repurpose a couple old saws into a wonderful Christmas decoration. You have such a creative spirit. God’s blessings to you and yours, and have the merriest Christmas! Thanks very much Sheila! May you have a very Merry Christmas too! Oh my goodness… that’s so cool! Tuula this is fabulous. How fun and creative you are. Love this. Merry Christmas my friend. Thanks so much Kris! Merry Christmas to you too my friend. Very creative! When I saw your title I really could not imagine what you were up to! It is so perfect for a different kind of tree! Thanks AnnMarie! I’m always up to something AnnMarie. lol. This project was a lot of fun. Merry Christmas! I love this, I guess I’ll be going to the restore also. Have a Merry Christmas & a Happy New Year. Thanks Kathy! Hope you find your saws. Merry Christmas and Happy New Year. AWESOME, you are so clever Tuula! It would be perfect for someones Man-Cave and I know someone that would love it but it will have to wait till next year! Thanks Pam! Or maybe someone’s workshop… like Santa. lol. 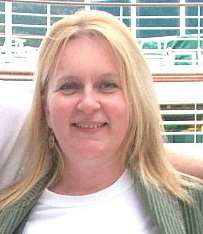 Merry Christmas Pam! 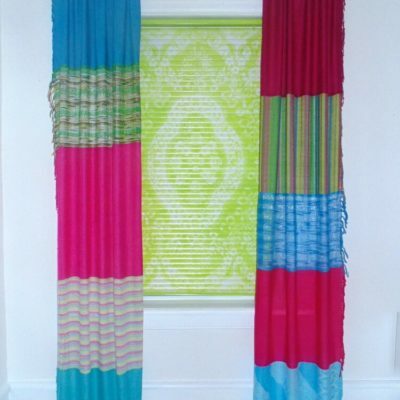 Wonderful – so inventive and unusual! Thank you so much Liz! Christmas greetings to you from Canada. Enjoy! What??? Tuula, you are a genius! 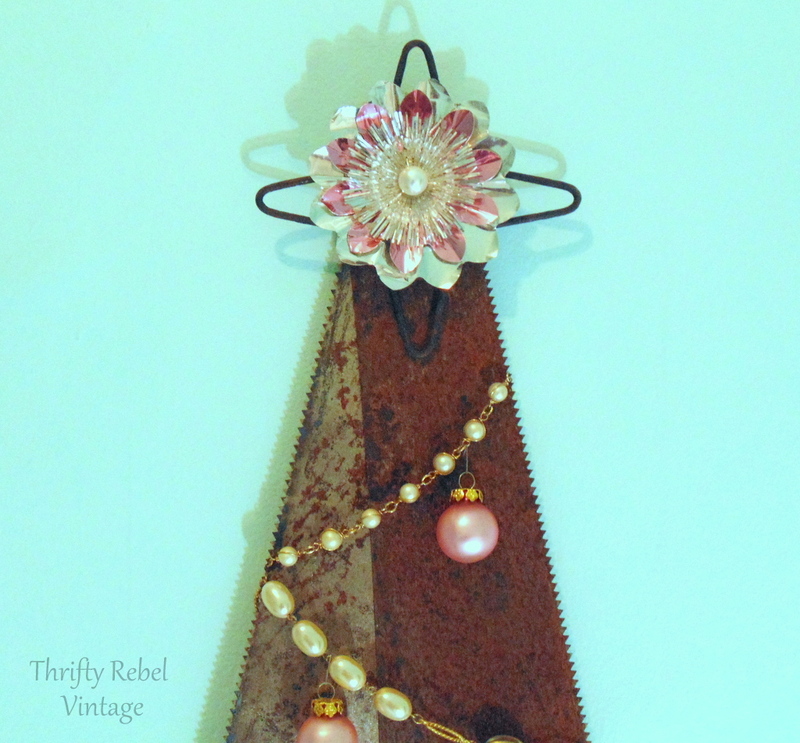 This is the prettiest and cleverest repurposed tree evah! Very clever tree interpretation….I love it! You always come up with the most clever and creative ideas…this is no exception. I’ll never look at a saw the same way again. Love it! Thanks for sharing at VIP. Thanks so much Betsy! I think I’ll be making several versions of this next year. Thanks so much Lucy! I hope you find some. What a great idea, Tuula! Gosh, how cute is this? 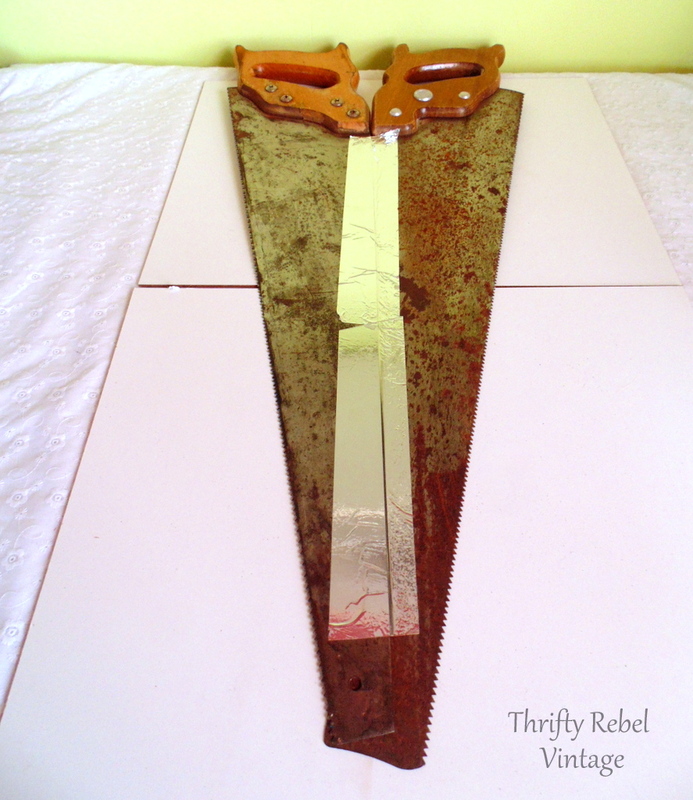 I painted a saw last year, but this is so creative! Thanks for sharing with SYC. Thanks Jann! A painted saw would be a lot of fun too. I think you’ve outdone yourself, Tuula!! So fun and creative–one to file away for next year. I’ll be sure to say I “saw” it here if I post about it 🙂 Thanks for linking up with vintage charm! Thanks Diana! I have to say that I really enjoyed the simplicity of this project. I love repurposing things in a way that allows them to still be seen as what they originally were while also being something completely different. That’s my kinda project fun. What a great idea! I love that you don’t have to alter the saws in any way. Thanks!